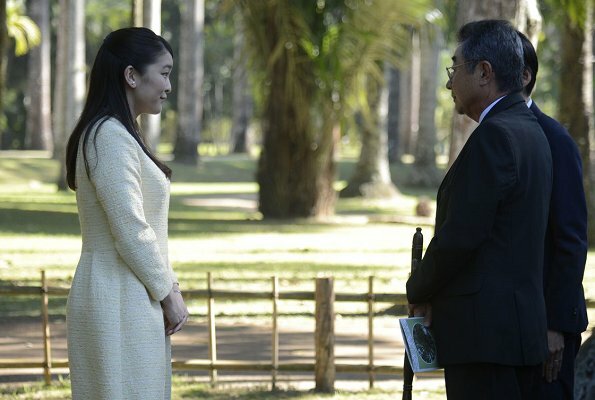 Japan's Princess Mako, the eldest granddaughter of Emperor Akihito and Empress Michiko, arrived in Brazil for the ceremonies to mark the 110th anniversary of the first waves of Japanese immigration to Brazil. 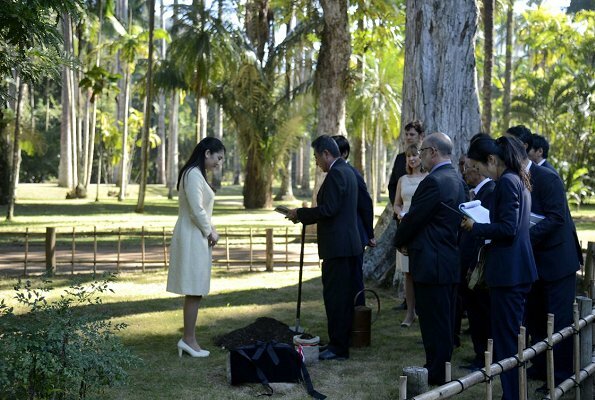 On July 18, 2018, Princess Mako visited Japanese Botanical Garden and Nikkei Association in Rio de Janeiro. 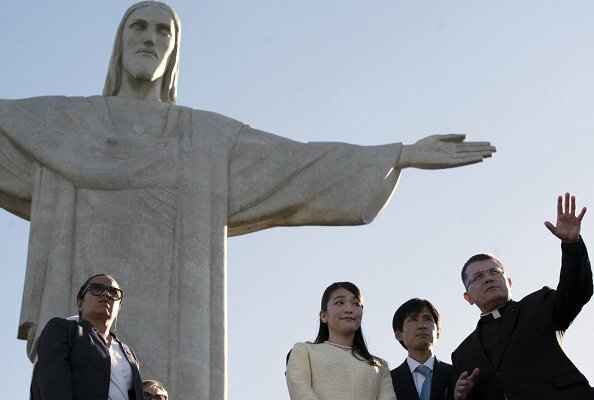 The Princess also visited Redeemer Christ Monument. 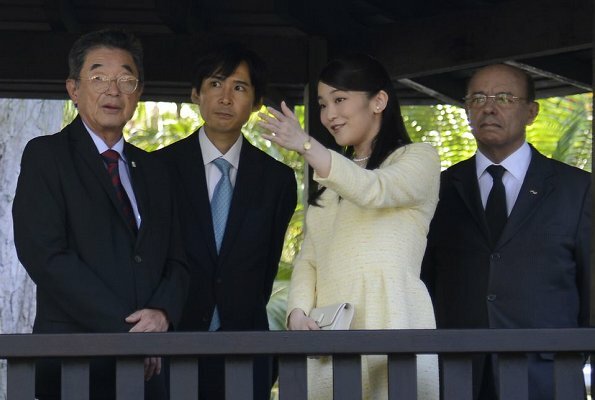 She will visit 14 cities in five states and meet with local people of Japanese descent. She will return home on July 31.
such a confident young girl and I applaud her for representing her family and nation in such far away land. The "young girl" is 26 years old. And I don't think she looks confident at all after the trouble about her postponed (or cancelled?) wedding. I feel sorry for her. Hopefully she will be happy as soon as possible! Well so much for women empowerment. I think she's brave and confident enough all the more knowing that fact lol. She looks dignified and yes 26 is young to me. 1304, I did not want to be impolite. It is just that I link the term "young girl" to a teenager. Of course 26 is still young. I agree that she is dignified and very brave, but I still think she is not confident at all. I think she looks sad, even unhappy. May she soon smile again! so old fashioned style and keeping up appearances! True. But it cannot help. 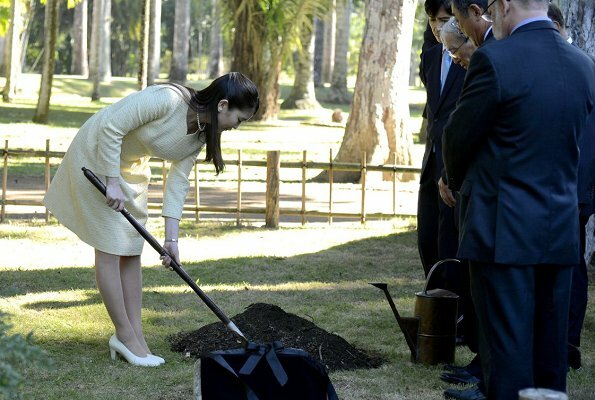 Many Japanese people don’t seem they think their Royals shoud be fashion models. And also, they seem to be grateful for Royal members attitudes trying to save their cost (public tax). Especially in these days, Japan suffers from terrible natural disasters. The rules are very strict, they can't even leave the palace..
A pretty creamy yellow colour. The style is conservative but I don't think it's that dreadful. 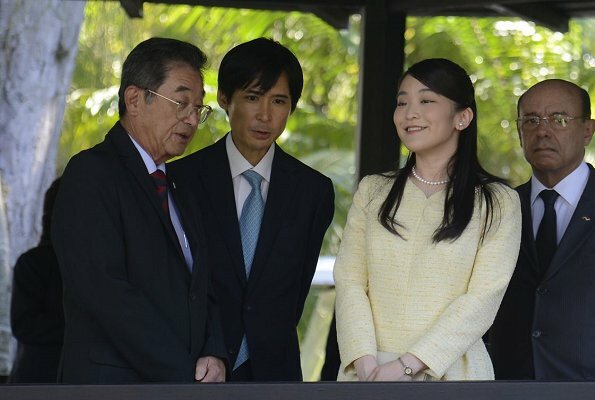 Her suit is very typical of the women of the Japanese royal family. That is the way they dress and it is almost a uniform. This young woman looks sad. Her marriage was "put off" for two years with the reason given that they were "too young". As a poster noted above, she is 26. Something is not right. I wish her well. 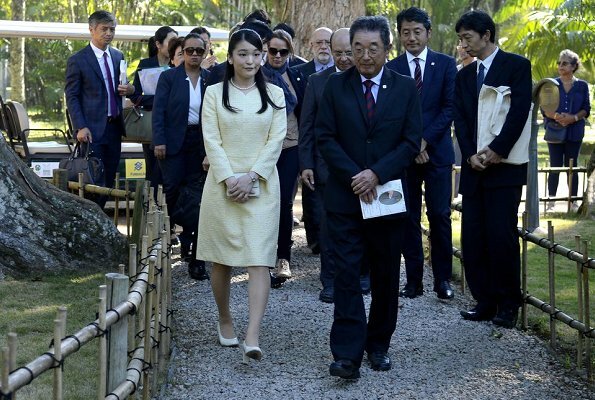 The Emperor of Japan is sort of a God for them, so fashion models are not allowed. Nice outfit and colour. I think it is very becoming not trying to look like a model. She is a beautiful woman and has a royal look about her. A bit Q Elizabeth-ish. You don't have to buy expencive fashion clothes daily just beacause you can. It seems so superficial. 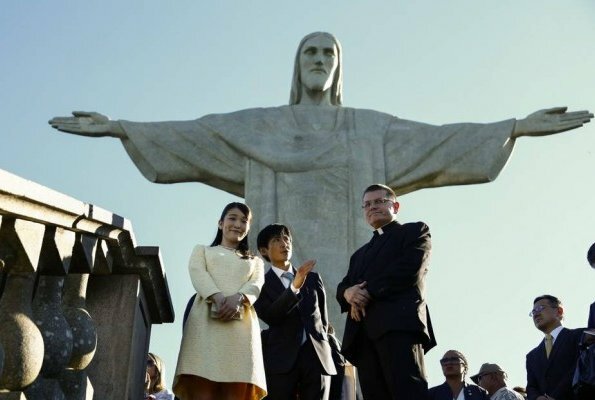 Pss Mako's visit to Brazil,in front of Christ the Redeemer Statue,is very nice, she wears a nice color dress ,but it seems that all the Pss have the same style of cloth maybe one style fits most or all?. What I don't understand is why the empress always looks aged appropiated and fashionable at the same time, Japanese have a very sting sense of beauty and harmony but I don't see this in the this reflected in the princess, only in the empress, would like to understand them not to criticize them. Beautiful princess but clothes are very old fashioned. I like her dress even though it is the same style they have all the Japanese princesses wear. It is modest, conservative, proper and prim just like the princess. One picture shows her actually smiling with teeth showing! I wonder if she will be reprimanded for that by her handlers? She doesn't really look that happy in the majority of the pictures. 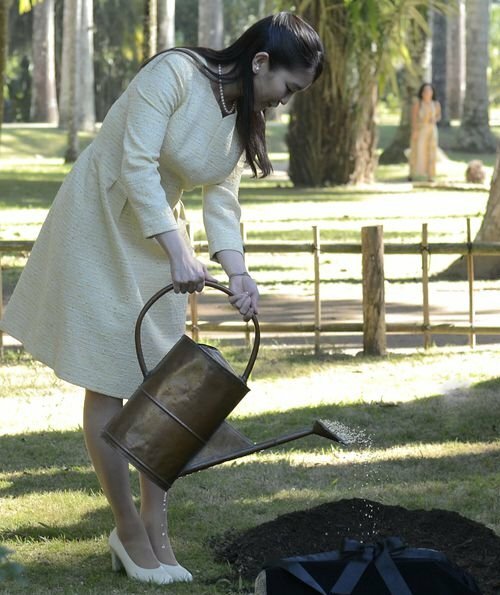 No puede estar feliz cuando han arruinado su matrimonio, pobre muchacha. 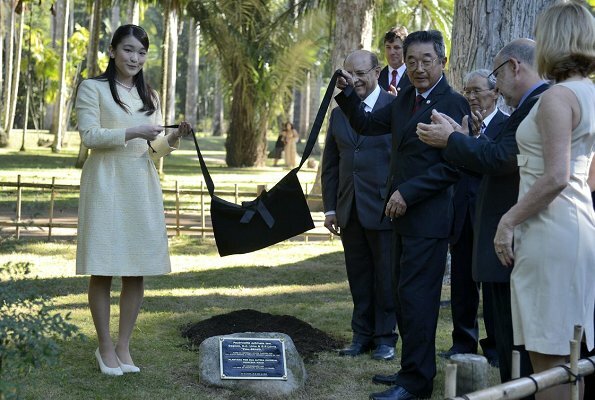 Yo pienso que la han enviado a este viaje como compensación por haberla separado de su prometido para que se distraiga y no caiga enferma como Masako. Su ropa debe seguir un código muy estricto, no puede permitirse saltarse las normas. Creo que Angie is correcta. Parece triste. Su ropa is tipica de su familia y la tristeza es otra cosa tipica de su familia. Ich finde Mako bezaubernd in ihrem blassgelben Kleid !! 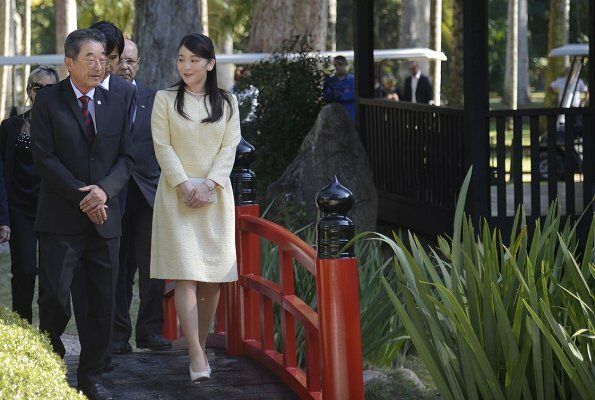 May Princess Mako's visit Brazil strengthen a bilateral trust and friend relation between Japan and Brazil. Please take a safe trip in Brazil.